** MULTIPLE OFFERS RECEIVED! ** Popular Morning Dove floorplan in the award winning masterplanned community of Las Sendas! 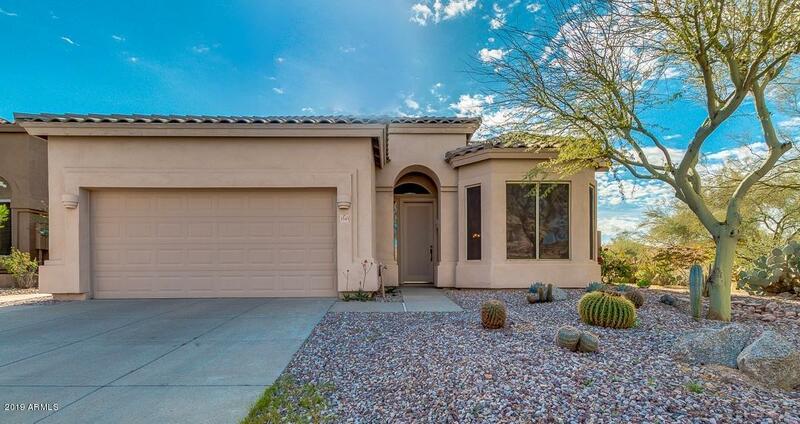 This 1,843sf, 3 Bedroom, 2 Bathroom single level home original owner home sits on a prime private corner lot that backs to a wash. As you enter you are greeted by a light and bright Living Room with bay window & an elegant Formal Dining Room. The open Kitchen (Refrigerator included) overlooks the spacious Family Room with gas fireplace. Large Master Suite has a bay window. Lg Laundry Room (Washer & Dryer included). BRAND NEW HVAC in September 2018, Newer Water Heater & Water Softener. Professionally landscaped low maintance backyard. Home needs some updating and is priced accordingly. This is a great value for a single family home in a great location!